There they made Him a super, and Martha served, but Lazarus was one of those who sat at the table with Him. Then Mary took a pound of a very costly oil of spikenard, anointed the feet of Jesus, and wiped His feet with her hair. And the house was filled with the fragrance of the oil. But one of His disciples, Judas. Iscariot, Simon's son, who would be tray Him, said, "Why was this fragrant oil not sold for three hundred denarii and given to the poor?" "Let her alone; she has kept this for the day of My burial. For the poor you have with you always, but Me you do not have always." Now a great many of the Jews knew that He was there; and they came, not for Jesus' sake only, but that they might also see Lazarus, whom He had raised from the dead. For these reason the people also met Him, because they heard that He had done this sign. "... we all take up Your Cross and say: Blessed is He that comes in the Name of the Lord... "
The Gospel passage read to us in today's Liturgy, which we are meditating, warns us about the feelings of triumph in the temporal life. In themselves they are not harmful. But, only so if we do not lose sight of its perspective. The glory of triumph in this temporal life has a reason, a cause. The person who triumphs is the one who excels, who surpasses the others, overwhelming them with something for their benefit for which they become, even remotely, indebted. The triumph is a public recognition. In the case of the triumphant entrance of Jesus in Jerusalem, the public recognize their indebtedness to Jesus, not only for his teaching, but, moreover, for his works of healing, of feeding the crowds, and, the acme of brilliancy, the resurrection of the dead Lazarus. Who could ever do for the people what Jesus had been doing? "Blessed is the King of Israel that comes in the name of the Lord"
Every time we begin a service we do so proclaiming Christ our King and, therefore, submitting to his authority: "Come, let us worship and fall down before Christ our King and our God. " Every time we set ourselves to pray we chose that obedience, that submission to Christ. Without this choice of obedience to Christ we are not his disciples: "not every one who says unto me, Lord, Lord, shall enter into the kingdom of heaven; but he who does the will of the Father which is in heaven" (Mt. 7:21). The Holy Mother Church in today's Liturgy places for us the triumphant entrance of Jesus into Jerusalem in the context of his contemporaries. That is "the people that was with him when he called Lazarus out of the grave and raised him from the dead"
This people were a very mixed bunch. Some were very pro-Jesus, some very anti- Jesus. However, they were all witnesses of the resurrection ofLazarus. 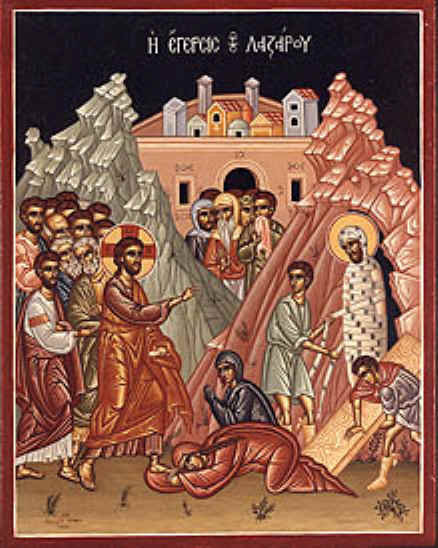 Unfortunately, even some of those pro-Jesus were "not for Jesus' sake" but for the brilliance of the event, that is the raising from the dead of Lazarus after four days in the grave. The chief priests and their ftiends, eaten by the hate of envy and rancour, witnessed for the destruction of Jesus, and also of Lazarus. Among the ftiends of Jesus doubts and disapproval, up to Judas with his hidden agenda and later betrayal. The Holy Mother Church asks us now to look into our hearts and ask the question What kind of attitude towards Jesus have I? What kind of King is He for me? Therefore, what kind of subject am 1 to Him? Or, put it in other words, what kind of Christian life am I living during my temporal life? If I am carrying my cross every day, then, I may enter into the Holy and Great Week, carrying the Cross of the Lord, and rejoicing in His Resurrection with the hope of mine. ©Protopresbyter Kyrillos Leret-Aldir. 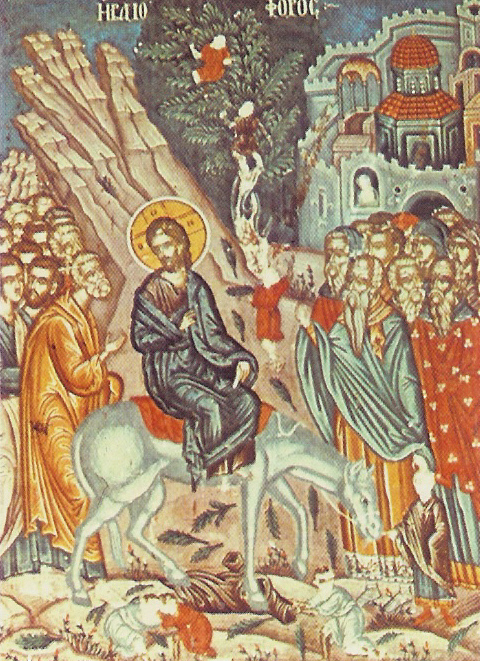 Sermon for Palm Sunday: Jn 12: 1-18, April 1999.